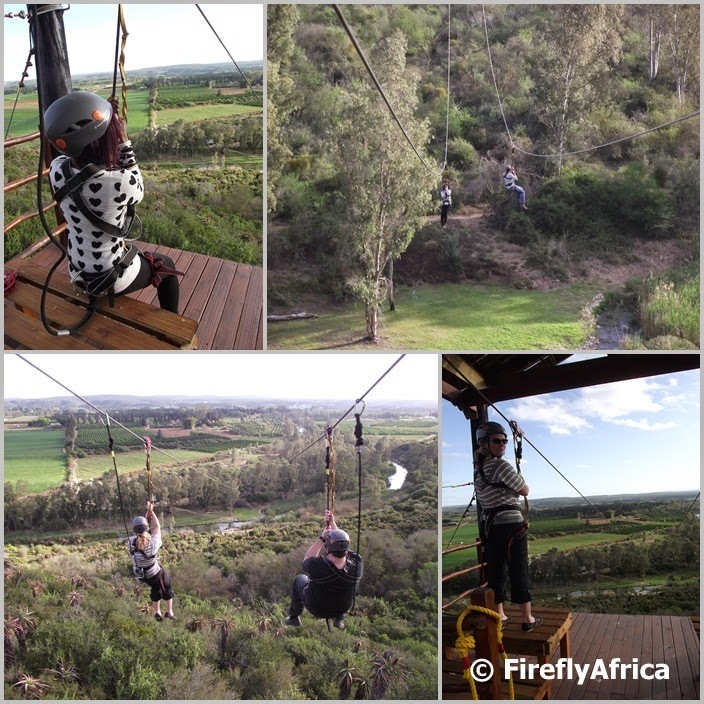 Port Elizabeth travel blogger FireflyAfrica of The Firefly Photo Files went to try out the Adrenalin Addo zipline, at 500 meters the longest duel zipline in Africa. Check out what he thought of the experience. The first thing people think of when they hear the name Addo is elephants. On that front the Addo Elephant National Park is doing an awesome job attracting people to the Sundays River Valley. But the Addo area is so much more than elephants and the rest of the big 5. More than just animals for that matter. The whole Sundays River Valley is a beautiful area with scenic drives and views, history, great eateries and a wide variety of accommodation and activities. The new kid on the block is what everybody in the valley is talking about at the moment though. 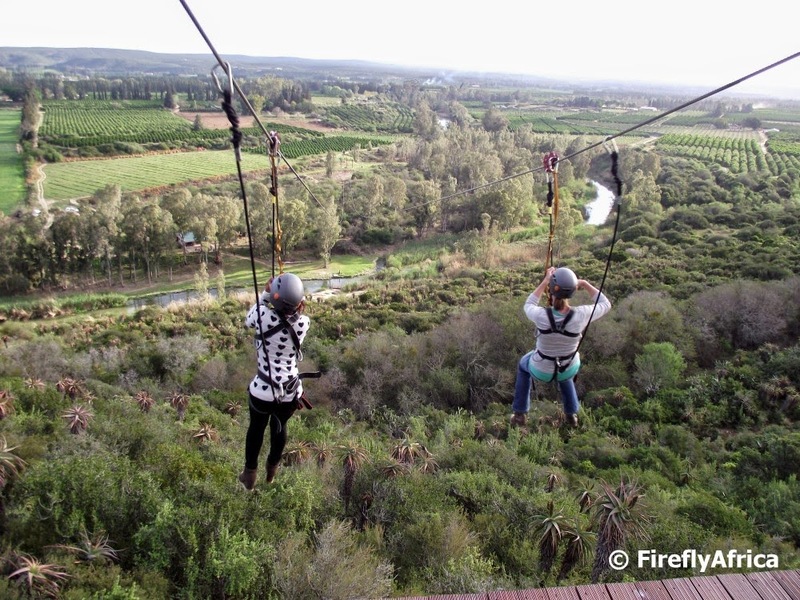 Adrenalin Addo officially opened on 1 September and offers the longest double zipline in Africa. A whole 500 meters long, up to 60 meters high and I got to try it on an educational organised by the guys from Addo Tourism. 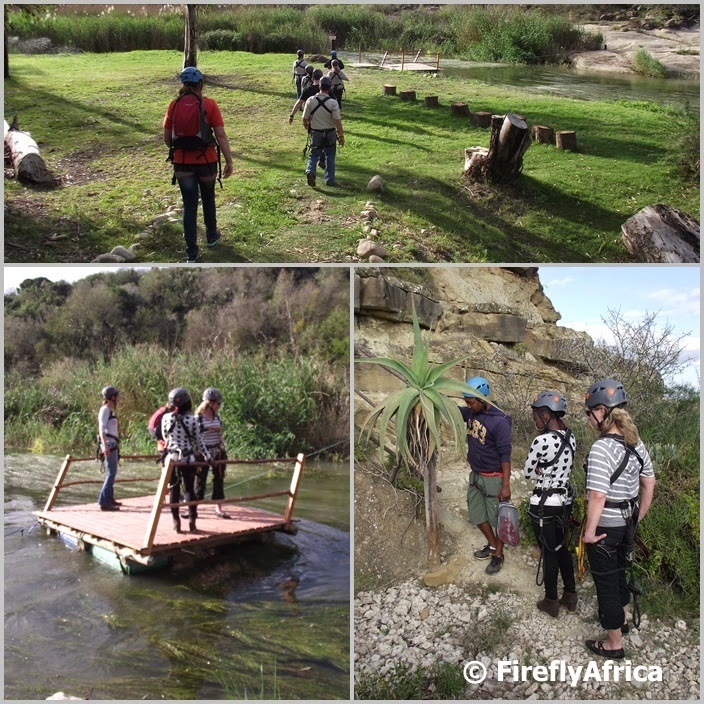 Arriving at Adrenalin Addo in Sunland between Addo and Kirkwood, the first thing one notice is the platform up on the hill across the river. That and the stunning surroundings with the Sundays River flowing in front of their centre, subtropical ticket on the hillside and citrus orchards all around. While I waited for my fellow adventurers to arrive I enjoyed the view from the deck with a quick coffee to calm the early nerves. Looking up I thought to myself that it looked seriously high but as a seasoned zipliner (or at least I would like to think so) I wasn't going to allow that to stop me from doing it. Once the others arrived we got kitted out in our gear and we were ready to go. First up though was crossing the Sundays River on a raft. Coming back we would be flying overhead. The guides conduct a bit of a tour on the way to the top pointing out plants, fossils and the remains of the first irrigation channels. Once we arrived at the top and climbed the platform I suddenly realized how high it really was and my fear of heights seriously kicked in. My fear took a back seat though when I started to look around. WOW! Looking down on the valley with all its farms and the Sundays River flowing through it is truly stunning. We had seven in our group so the first three pairs went together with one solo zipliner coming last. After watching the first two pairs go it was my turn. I had Yvonne from Addo Tourism on my left and we were pumped. As the guides hooked us up they explained what they were doing. Two clips on the wheels (sorry, I have no idea what the proper word for this is) and a backup line behind us. Step off the bench and... 3... 2... 1... GO! Stepping off and letting go was heart in throat time for me but once you are off and going all the fear is gone. What an absolutely amazing sensation and something very hard to explain. From start to finish the zipline takes about 30 seconds or so and once you hit the automatic brake at the end you just want to go again. I've been playing around with video clips on my camera lately and has started to experiment with a video editor on my laptop. This was such a great experience that I couldn't help but to throw something together for this post. You can also watch the video on YouTube. Adrenalin Addo is situated about 15 minutes from the Addo Elephant National Park and a great add on for visitors to the park either leaving on the way back to Port Elizabeth or as a break before heading back into the park. They're also going to offer light meals some time soon so it would be a great lunch and zipline stop while on tour as well. Other activities offered are a giant swing (which I didn't get to do this time around) and canoeing on the Sundays River. Disclosure: I enjoyed this visit as a guest of Ryan and his team at Adrenalin Addo, organized by Yvonne of Addo Tourism and the team at ECTOUR. I received no further remuneration, wasn't asked to write a positive post and keep full editorial control.